The team was made up of five researchers, all of whom were based at the University of Edinburgh for the duration for the project. Christina is Professor of Politics at the University of Edinburgh. She was educated at the University of Oxford (BA Hons in Politics, Philosophy and Economics) and the London School of Economics (PhD in International Relations). Her research examines the relationship between knowledge and public policy, especially in relation to European and EU immigration and asylum policy. Her most recent books are The Political Uses of Expert Knowledge: Immigration Policy and Social Research (Cambridge University Press, 2009/2012), and Migration and Mobility in the European Union (with Andrew Geddes; Palgrave, 2012). Before joining Edinburgh in 2006, Christina worked in Hamburg between 2001-2006, first as a Marie Curie post-doctoral fellow, and then as recipient of a Marie Curie Excellence Grant (predecessor of the ERC Starting Grant). In Edinburgh, she founded the Centre for Science, Knowledge and Policy (SKAPE) in 2014, which hosts this project. Since 2015, she has served as Director of Research for the School of Social and Political Science at the University of Edinburgh. More details can be found on her institutional homepage or follow her on Twitter. She also maintains her own blog. Emile was educated at Cambridge, Rice University, Harvard University and the École Normale Supérieure, Paris. He completed his PhD at Cambridge and his thesis was subsequently awarded the History Faculty’s Prince Consort and Thirlwall Prize, and Seeley Medal for the best dissertation across all periods. He subsequently held positions at Oxford and Cambridge, before arriving at the University of Edinburgh in 2013. 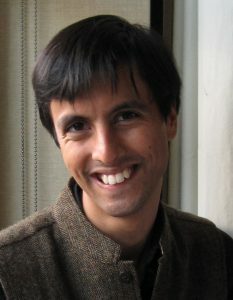 Much of his research has focused on France, in particular the transformation of French politics since the 1970s, Franco-British relations in the 20th century and the legacy of postcolonialism in France. This has led to a wide range of publications on subjects as varied as the idea of the ‘Anglo-Saxon’ in modern French thought to the history of inter-community relations in Montpellier since the end of the Algerian War. In addition to this work on migration and state rationality, his next major project is an intellectual biography of the historian Eric Hobsbawm. More can be found on his homepage or follow Emile on Twitter. Elisabeth studied sociology, politics and philosophy at the University of Leipzig, Sciences Po Paris and the University of Glasgow before joining the University of Edinburgh as a post-doctoral research fellow in the ‘Seeing Illegal Immigrants’ project. 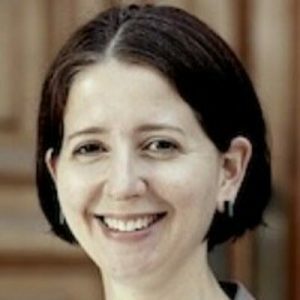 Elisabeth’s research interests focus on immigration and citizenship policies in Germany, Britain and France, national identity politics, equality and human rights, as well as on contemporary social theory. 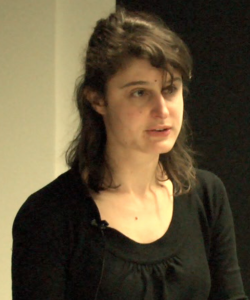 In particular, Elisabeth is interested in studying the actors, categorisations, techniques and rationalities involved in the regulation of migration through state structures. 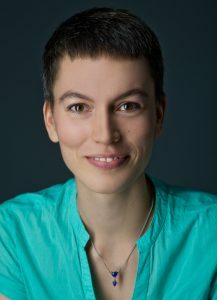 Her PhD research at the University of Glasgow compared contemporary naturalisation regimes in Britain and Germany from a sociological perspective and was funded by the Economic and Social Research Council as well as by the German Academic Scholarship Foundation (Studienstiftung des deutschen Volkes). Elisabeth is a member of the Glasgow Refugee, Asylum and Migration Network (GRAMNet, https://gramnet.wordpress.com/) at the University of Glasgow and the Centre on Dynamics of Ethnicity (CoDE, http://www.ethnicity.ac.uk/) at the University of Manchester and the University of Glasgow. Elisabeth is now a postdoctoral fellow at the Max Planck Institute in Gottingen, Germany. Sara completed her PhD in 2013 from Sciences Po, Paris on the history of the French border police (“Surveiller les personnes, garder les frontières, définir le territoire: la Police Aux Frontières après la création de l’espace Schengen (1953-2004)”). After completing her PhD, she held a postdoctoral position at the Centre international de criminologie comparée in Montréal, Québec, Canada. Before arriving at Edinburgh, Sara was a postdoctoral researcher at the Laboratoire Méditerranéen de Sociologie research centre at the Maison Méditerranéenne des Sciences de l’Homme, Laboratoire Européen de Sociologie (UMR 7305). For this project, she was in charge of the French case study. Sara is now a postdoctoral research fellow and scientific coordinator at the Institut Convergences Migration in Paris, France. 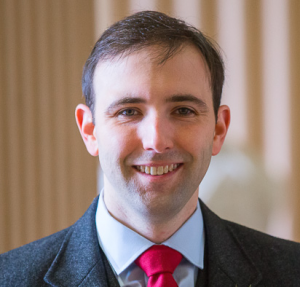 Mike was a Masters student and Fulbright Scholar at the University of Edinburgh before continuing on to a PhD in political science. His thesis, which he completed in 2016, was entitled “Choosing Security: Political Rationalities in the Securitization of Migration in Arizona”, and won the Outstanding Doctoral Thesis Award from UoE’s School of Social and Political Science. Much of Mike’s research has focused on the treatment of immigration as a security issue. For this project, he was in charge of the British case study. Mike comes from a professional background in immigration politics in the United States, and worked in the Obama Administration. See Mike’s webpage for further details, or you can follow him on Twitter. Mike is now a Lecturer in International Politics at the University of Lincoln, UK.